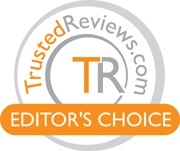 alaTest has collected and analyzed 159 reviews of Panasonic HDC-TM900. The average rating for this product is 4.6/5, compared to an average rating of 4.0/5 for other Camcorders for all reviews. Comments about the size and zoom are overall positive. The portability and image quality also get good views. Many are negative about the battery. There are some mixed reviews about the price. We analyzed user and expert ratings, product age and more factors. 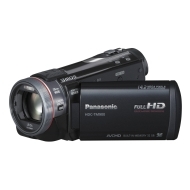 Compared to other Camcorders the Panasonic HDC-TM900 is awarded an overall alaScore™ of 90/100 = Excellent quality. alaTest has collected and analyzed 33 user reviews of Panasonic HDC-TM900 from Amazon.co.uk. The average user rating for this product is 4.8/5, compared to an average user rating of 4.0/5 for other Camcorders on Amazon.co.uk. People really like the zoom and design. The portability and image quality are also mentioned favorably. alaTest has collected and analyzed 13 user reviews of Panasonic HDC-TM900 from Amazon.com. The average user rating for this product is 4.6/5, compared to an average user rating of 3.9/5 for other Camcorders on Amazon.com. People really like the design and price. The image quality and portability also get good comments, whereas reviews about the size and battery are different. Can Panasonic maintain its position as our favourite enthusiast camcorder manufacturer? Does sticking a set of 3D mirrors onto one of the world's best consumer camcorders give it some extra depth? Very happy with this vid camera, very impressive..
Small, great battery, super crisp videos, great Newegg price, easy to use.